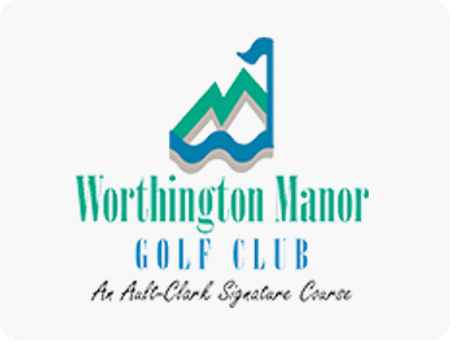 Worthington Manor Golf Club welcomes PGA Professional Andrew Surette who has accepted the position of Head Golf Professional at our championship golf course. A Frederick, Maryland native, Surette has been a PGA Certified Professional since 2013 upon completion of the Professional Golf Management Program at Florida Golf Coast University. This news marks a sentimental homecoming for Andrew who began learning the game of golf at Worthington Manor as a youngster taking private lessons from professional Ed Coyle. After months of swing and short game instruction Andrew’s first experience on a golf course was at Worthington’s par 3 17th hole where he promptly placed a 5-wood shot 8 feet from the hole and then made the birdie putt! Coyle joked to young Andrew that he should retire from game right then as likely the only player to leave the game under par for life. Instead, Andrew Surette embarked on a career in, and a passion for, the game of golf. His experience has led him to Assistant Golf Professional positions at Trump National Los Angeles, Sankaty Head Golf Club in Nantucket and PGA National Resort in West Palm Beach, Florida. Upon his return to Maryland, Andrew became Assistant Professional at Worthington Manor, an instructor for GOLFTEC and most recently held the position of Assistant Head Professional at Clustered Spires Golf Club in Frederick. With all the hats a professional wears, Andrew’s drive is for teaching the game having conducted thousands of lessons in his professional career. He enjoys instructing all age groups and skill levels with a passion for developing juniors and players new to golf. He strives for all his players to enjoy the game he loves and to have great knowledge of the game and their own swing. Worthington Manor is excited to again be working with Andrew Surette as he joins our other golf professionals Ed Coyle and David Lowe.